Does your business rely on bold, color prints? If so then you need to be sure that you are getting the results that you need. There is no point spending money on an expensive machine if you do not know how to use it. Most of the copiers that are in offices today are extremely powerful. Many can give amazing, full-color prints if you know how to use them the right way. We believe in being there to help your business grow. That’s why we want to help make sure that you are getting the best color from your copier. It is not hard to get great colors from your office machine. You just have to remember that your device is not always set up for the job at hand. You need to properly set your machine up to give you the best result possible. 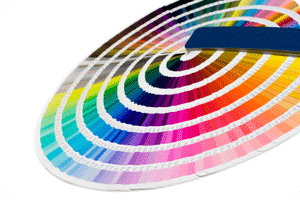 Follow these steps to ensure you are getting the best colors from your copier. Make sure the print resolution is as high as it will go. For most people this is either 1800 x 600 or 1200 x 1200 dpi. The more dots per inch, the better the image will look. Set print driver from text to photo. This will apply mostly if you are in fact printing a photo. Set print driver to full color. This will give you a wider range of vibrant color options. Use Adobe PostScript print driver. This will transfer your standard green, blue, and red colors into cyan, magenta, yellow and black values. These new color values will give you a more true color spectrum. Use a high resolution digital format. Formats like JPEG, PDF, and PNG have a better quality than things like TIFF or Bitmap photo.